0.11.0 – Twitch Extension, Cheer Bots and more! Erik November 18, 2017 No Comments on 0.11.0 – Twitch Extension, Cheer Bots and more! A new update just landed and this one is all about Twitch Mode! The Twitch Extension is here! What enemies can you spawn? How many coins do you have? For a long time the only way to find out has been to type commands into Twitch Chat, but that changes today! Sitting on top of the stream window, the new extension lets viewers interact with the streamer with unprecedented ease! Want to try it? Install the extension here, and download the latest version of the game! Cheer Bots: Cheer for the human! Want to support your favorite streamer through cheering in the chat? The Cheer Bots are here to help! For every 100 bits cheered a Cheer Bot will appear with a wonderful present to help the streamer. 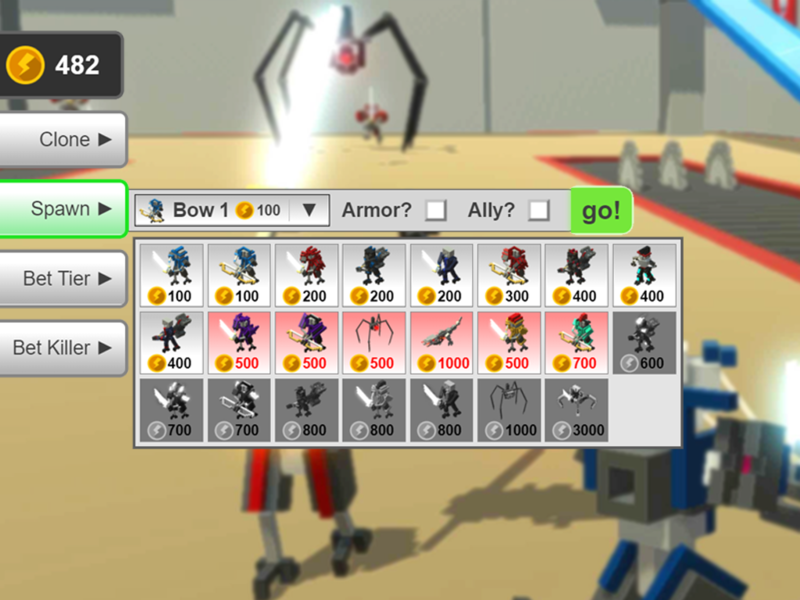 Destroying the cheer bot gives you armor, clones, skill points or a powerful allied robot! On Earth, streaming platform shows game. In Robot Utopia, game shows streaming platform. Now you can browse live streams straight from the main menu! Make some noise for your favorite streamer!!! Everybody loves robots shouting at them, so we went ahead and made sounds for the subscriber emotes for as many top Clone Drone streamers as we could. Send us an email at support@doborog.com and tell us who else should have their sub-emotes make noise! It’s a small improvement, but now you can add armor to your robots in Twitch Mode. Doing so doubles their cost! Let us know what you think of the new features, and go watch some streams!